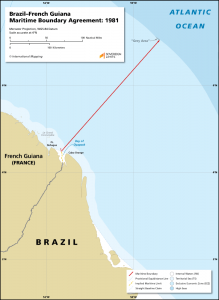 The maritime boundary between Brazil and France (French Guiana) was established through a bilateral agreement that was reached in 1981. The boundary originates at the mid-point of the geodesic line closing the Bay of Oyapock. 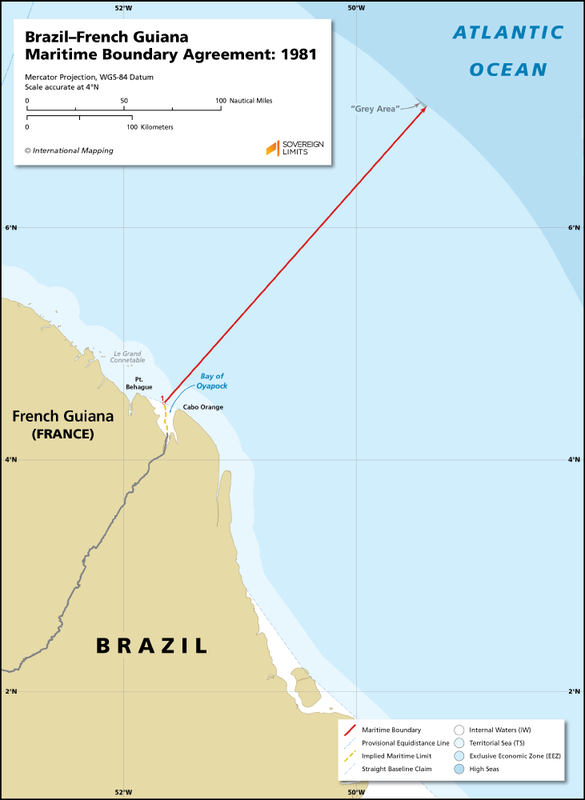 The boundary line follows a single directional bearing of 41° 30′ until it reaches the 200 nautical mile limit of Brazil.